Have fun exploring, experimenting, testing, and learning while gaining valuable science skills. Explore God’s handiwork, order, and logic in nature while participating in fascinating hands-on science activities. You’ll discover great ideas for science fair projects from the fields of chemistry, physics, and engineering. 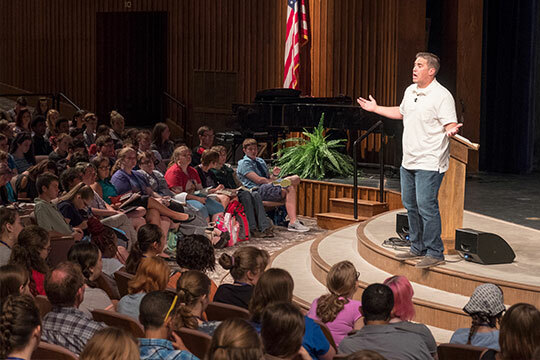 At this camp, experienced Pensacola Christian College faculty will give group instruction in various scientific fields, with hands-on exploration and experimentation. With access to college-level engineering and science labs and equipment, you’ll have many opportunities to learn and stretch your imagination. Explore scientific and engineering topics with your own hands-on investigations in a college laboratory. Appreciate how godly scientists applied Biblical principles to their investigations of God’s physical creation. Collaborate with fellow teammates to share your personal skills in the analysis and reporting of your team’s discoveries. Compete against other teams composed of campers at your grade level. First place teams will be honored at the closing awards ceremony. James Ridgley, Ph.D., Ed.D., has over a decade of experience teaching in the physical sciences. He began his science education career at Pensacola Christian Academy and served in its science department teaching chemistry and physics, while also serving as its STEM Fair Coordinator. 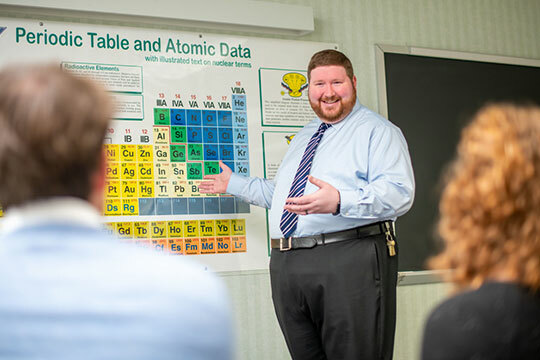 In 2011, he joined the Natural Sciences Department at Pensacola Christian College where he currently teaches undergraduate chemistry and physics courses.